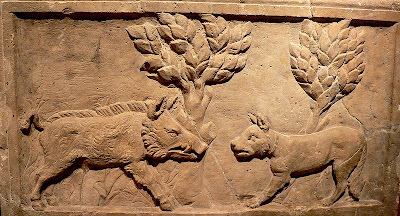 After picking up a nasty dose of stomach flu while visiting members of the sororial branch of her tribe in Gaul, Edith went to Cologne in Germania Inferior on her way to eastern Germany. 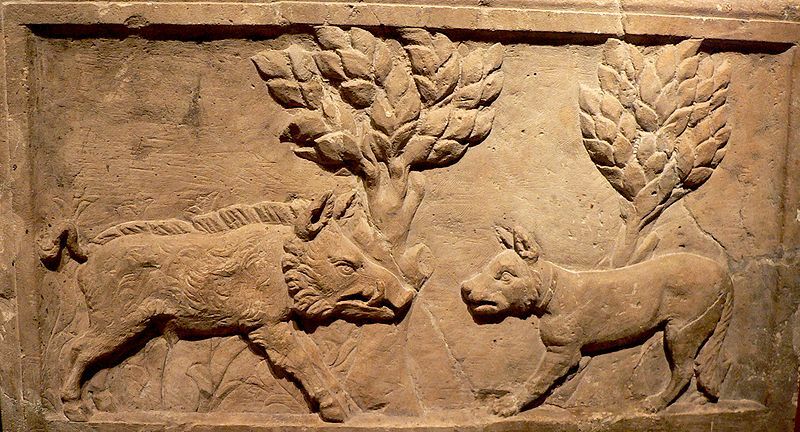 After visiting the Archaeological Museum there and seeing this image of a wild boar (sus scrofa) facing down a dog, she became feverish and delirious. She then disappeared in the direction of the Black Forest without having written her blog. We are hopeful that she will have been found by next week.